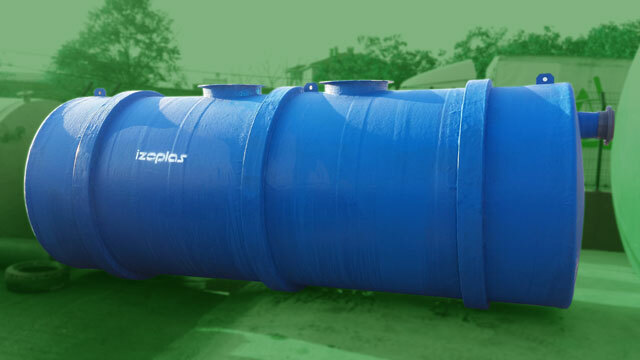 Septic tanks’ usage are increasing and our septic tanks are delivered all over world with Izoplas brand. 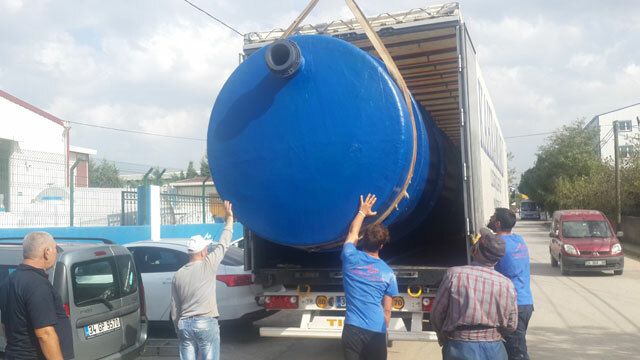 For bidding that we won on July of 2016, we finished our production process and delivered our products to Turkmenia for TACE project. Totally, we produced 7 pcs. 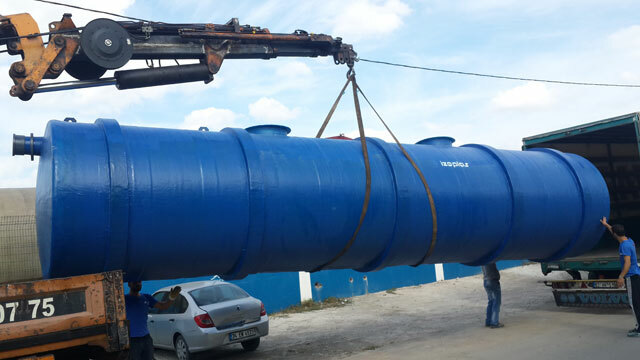 septic tanks and transport these tanks with 4 trucks. All products are produced according to project that is sent by Hyundai. We made some additions for tanks’ strength. We produced for Hyundai 3 pcs. 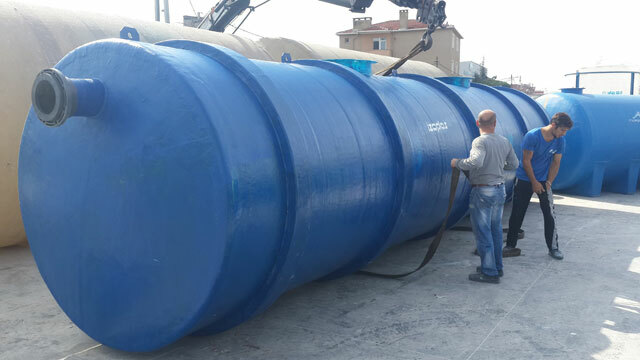 27m3 Septic Tanks, 1 pcs. 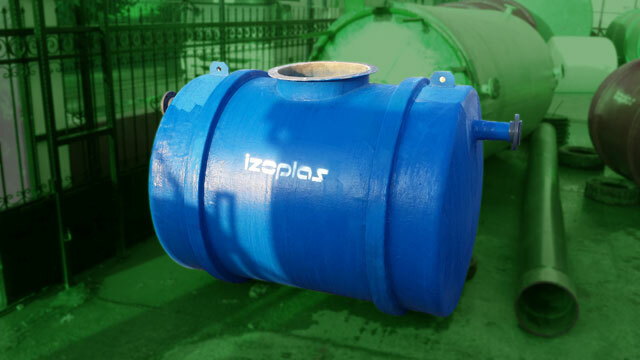 16m3 Septic Tank, 1 pcs. 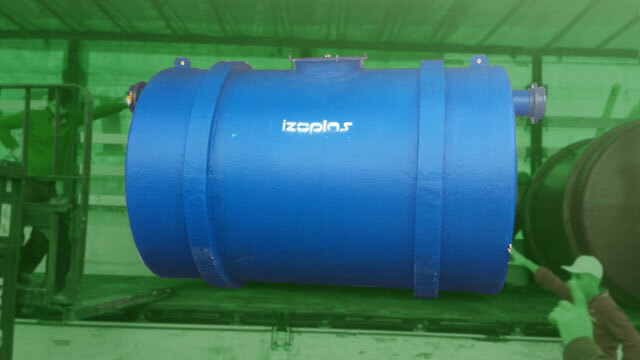 9m3 Septic Tank, 1 pcs. 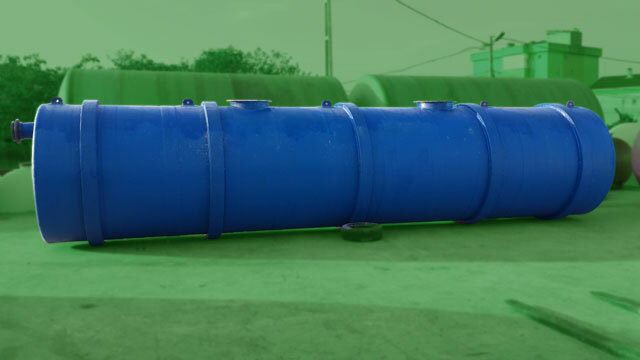 3.5m3 Septic Tank and 1 pcs. 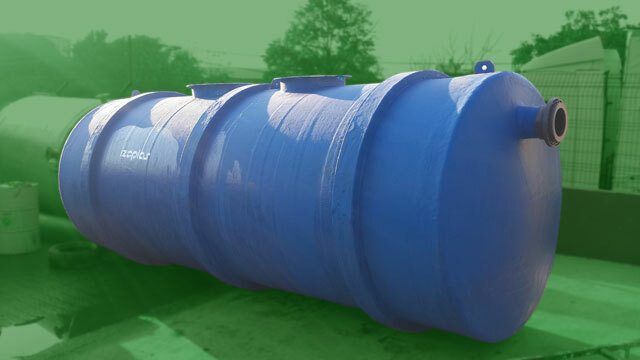 3m3 Septic Tank. 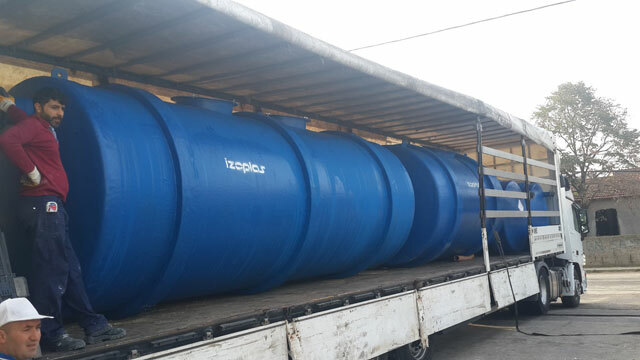 Transporting will be with one truck for each 27m3 tank and the rest of tanks transport one truck. Totally 4 trucks will be used for transporting. Totally we exported 3 pcs. 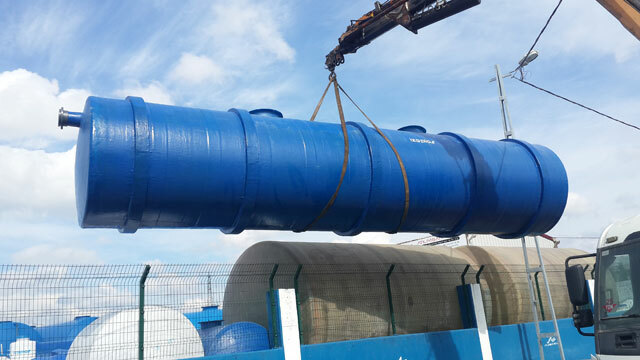 27m3 septic tanks. For each tank we used one truck for transportting. Rising level is different for each tank according to project. 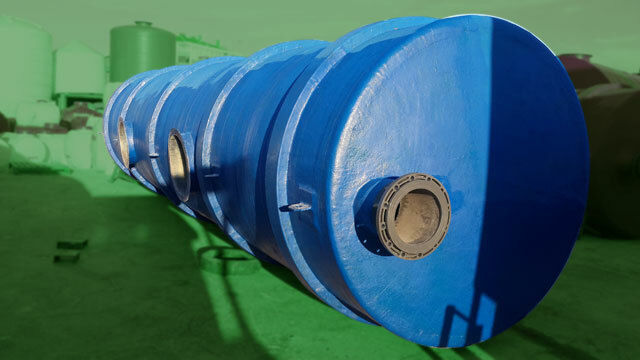 We increased strength of tank against to soil pressure with iron supporting and dividing walls. 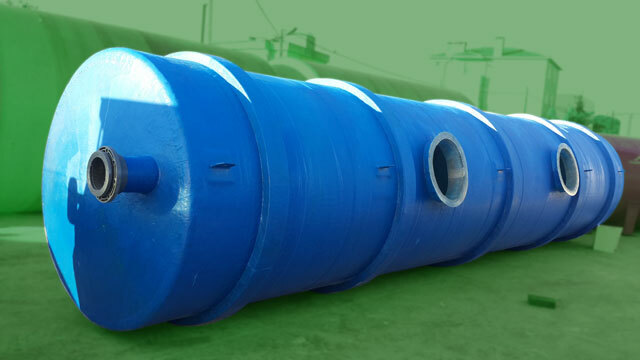 Inlets and outlets of tanks are connected as U-PVC flange. Tank’ inlet level is setted to 213 cm according to project. Tank’ outlet level is setted to 263 cm. All dimensions are decided by Hyundai Engineering’ engineers. There are 2 manhole covers on tank. Covers are suitable for truck transition on them. 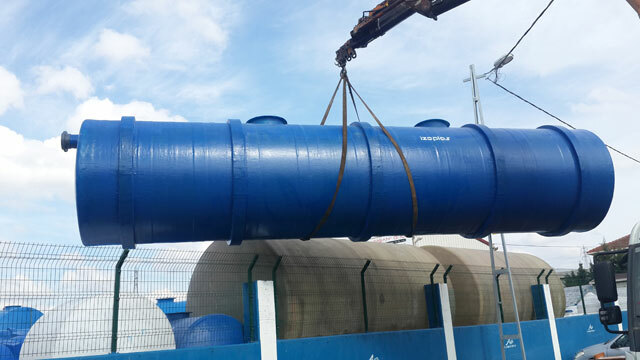 Tank’ inlet level is setted to 215 cm according to project. Tank’ outlet level is also setted to 215 cm, too. All dimensions are decided by Hyundai Engineering’ engineers. There are 2 manhole covers on tank. Covers are suitable for truck transition on them. 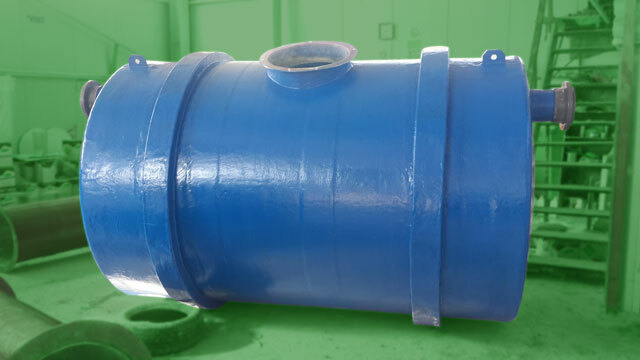 Tank’ inlet level is setted to 254 cm according to project. Tank’ outlet level is setted to 261 cm. All dimensions are decided by Hyundai Engineering’ engineers. There are 2 manhole covers on tank. Covers are suitable for truck transition on them. We export 1 pcs. 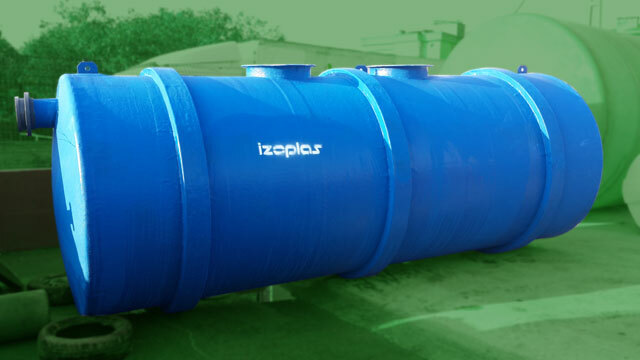 16m3 septic tank for this project. All dimensions are clarified by Hyundai’ engineers. 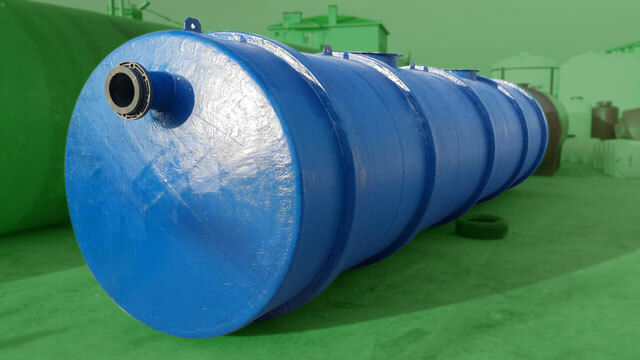 We made some additions to tank for increasing of strength against to soil pressure. There are 3 pcs. iron support outside of tank area and there are 3 pcs. dividing walls inside of tank. 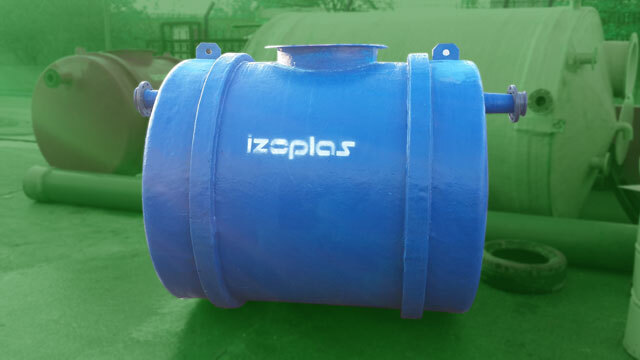 For 16m3 septic tank, inlet level is setted to 219 cm and outlet level is setted to 226 cm. There are two manhole covers on tank. All dimensions are decided by Hyundai Engineering’ engineers. Covers are suitable for truck transition on them. We export 1 pcs. 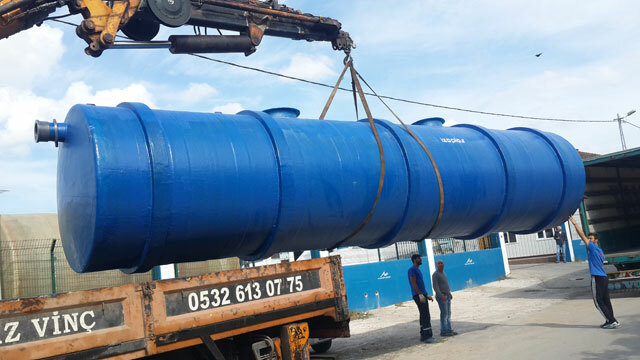 9m3 septic tank for this project. All dimensions are clarified by Hyundai’ engineers. 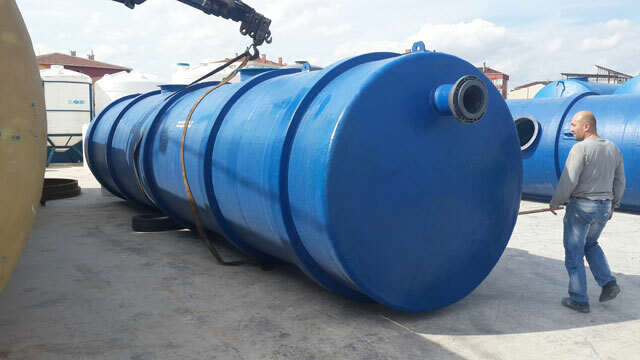 We made some additions to tank for increasing of strength against to soil pressure. There are 2 pcs. iron support outside of tank area and there are 2 pcs. dividing walls inside of tank. 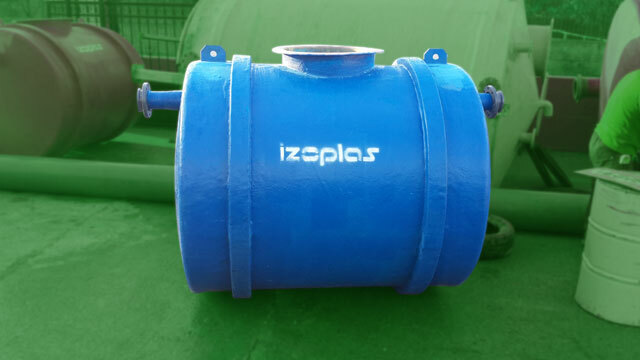 For 9m3 septic tank, inlet level is setted to 198 cm and outlet level is setted to 201 cm. There are two manhole covers on tank. All dimensions are decided by Hyundai Engineering’ engineers. Covers are suitable for truck transition on them. We export 1 pcs. 3.5m3 septic tank for this project. All dimensions are clarified by Hyundai’ engineers. 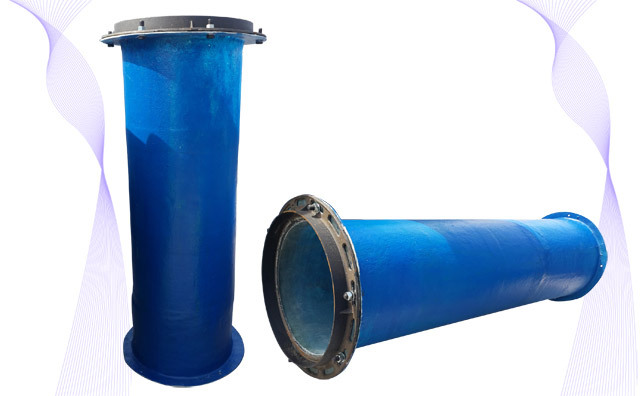 We made some additions to tank for increasing of strength against to soil pressure. There are 2 pcs. iron support outside of tank area and there are 2 pcs. dividing walls inside of tank. 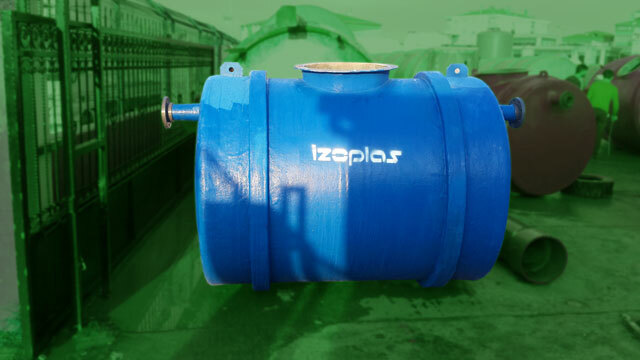 For 3.5m3 septic tank, inlet level is setted to 130 cm and outlet level is setted to 130 cm. There is a manhole cover on tank. All dimensions are decided by Hyundai Engineering’ engineers. Covers are suitable for truck transition on them. We export 1 pcs. 3m3 septic tank for this project. All dimensions are clarified by Hyundai’ engineers. 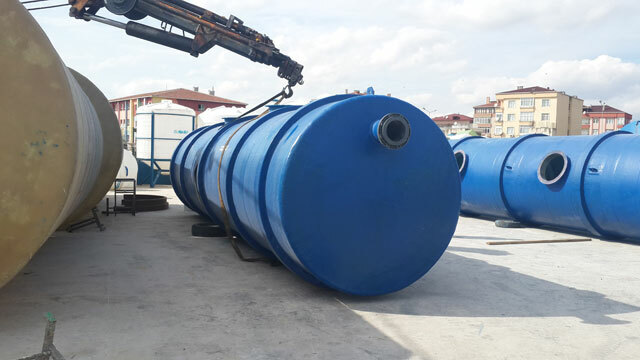 We made some additions to tank for increasing of strength against to soil pressure. There are 2 pcs. iron support outside of tank area and there are 2 pcs. dividing walls inside of tank. 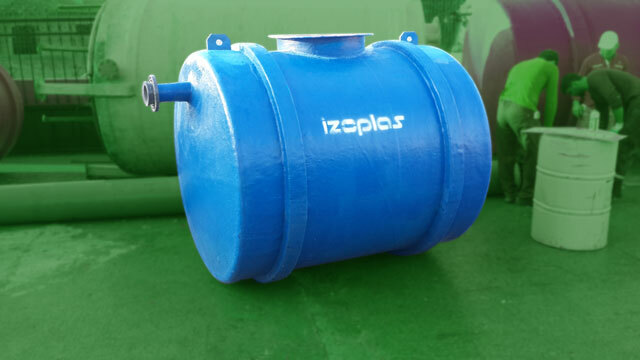 For 3m3 septic tank, inlet level is setted to 123 cm and outlet level is setted to 123 cm. There is a manhole cover on tank. All dimensions are decided by Hyundai Engineering’ engineers. Covers are suitable for truck transition on them. Need 100 m3 septik tank. please offer price.